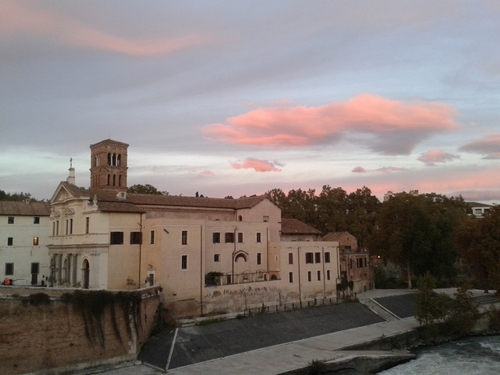 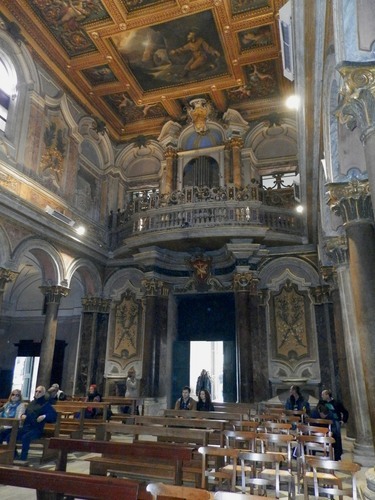 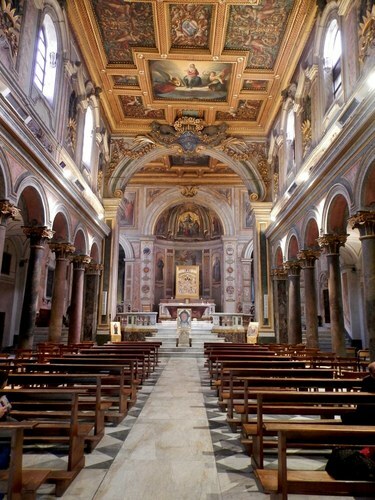 The Basilica of San Bartolomeo all'isola on Tiber Island in Rome, was founded at the end of the 10th century by the German emperor Otto III on the site of the former old Temple of Asclepius. 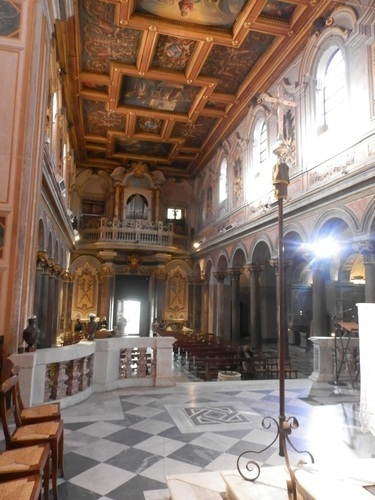 Initially, the basilica was dedicated to St. Adalbertus, bishop of Prague and close friend of Otto. 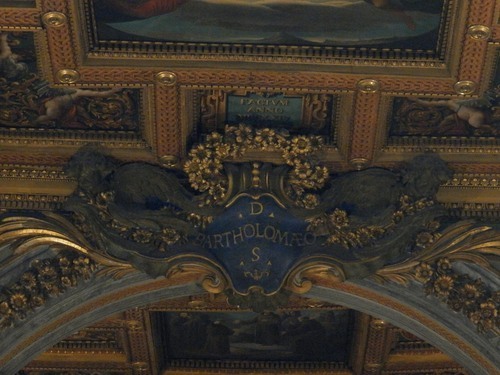 The church was named after St. Bartholomew, when the remains of the apostle were buried there. 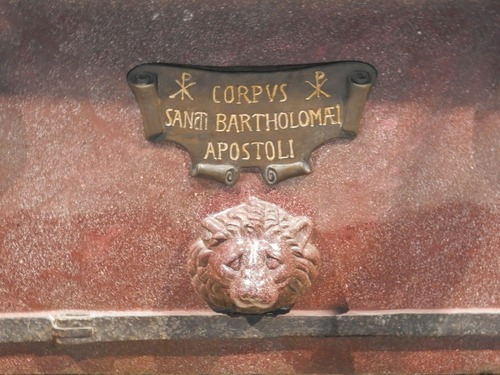 On façade of the church, there is the following inscription; “In hac basilica requiescit corpus S. Bartholomeai apostoli” (in this basilica lies apostle St. Bartholomew's remains). 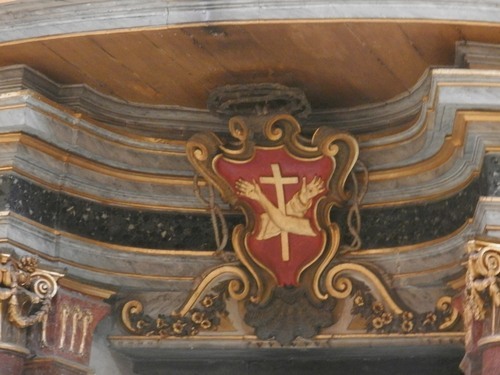 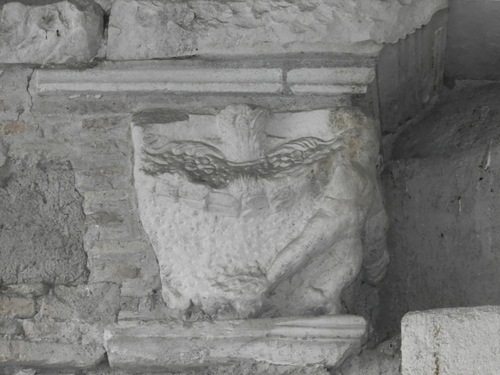 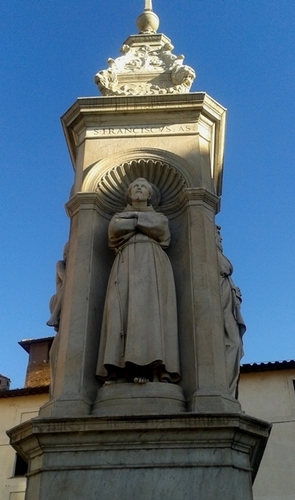 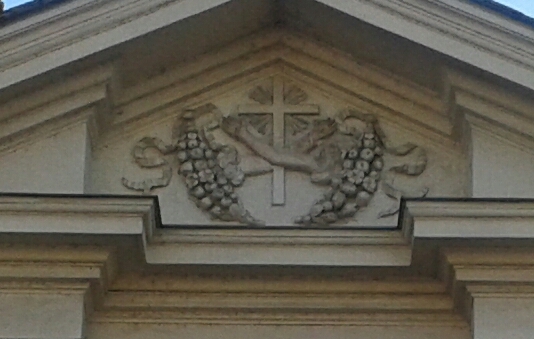 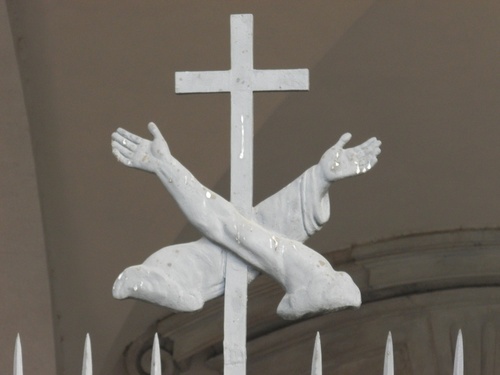 The Greek letter Tau, which symbolizes the Franciscan order, can be seen above the inscription. 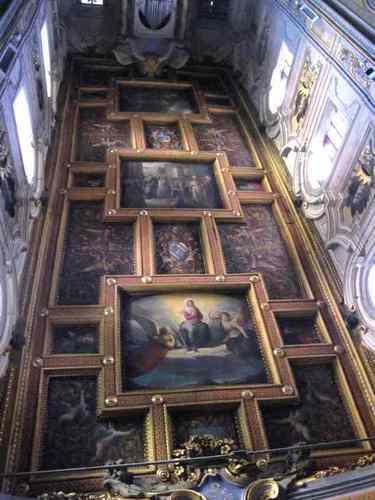 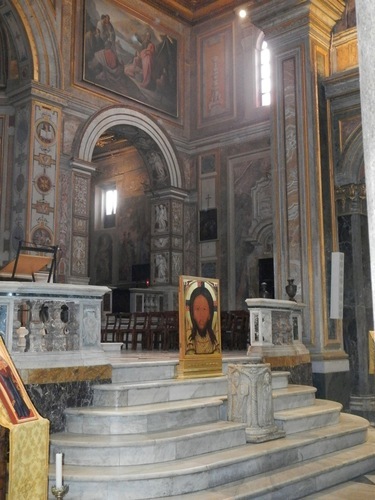 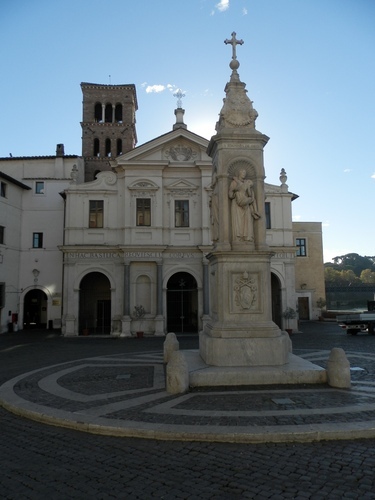 In the center of square right in front of the church there is a four-sided guglia, built due to Pius IX’s will, with saints in niches: St. Francis of Assisi; St. John of God; St. Paulinus; St. Bartholomew. 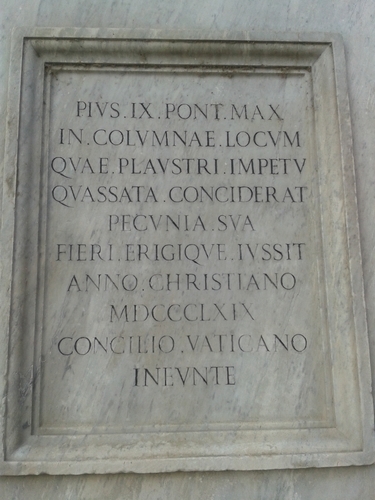 At the bottom of St. Bartholomew's statue, a latin inscription explains that this monument replaces a column which was hit and destroyed by a wagon. 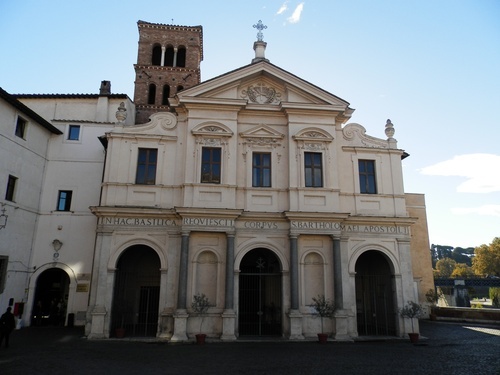 The portico of the basilica is very plain. 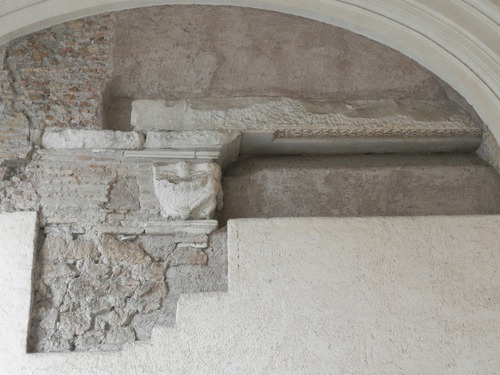 Nearby the left wall, one can notice the remains of an architrave and a capital, dating back to the Middle Ages. 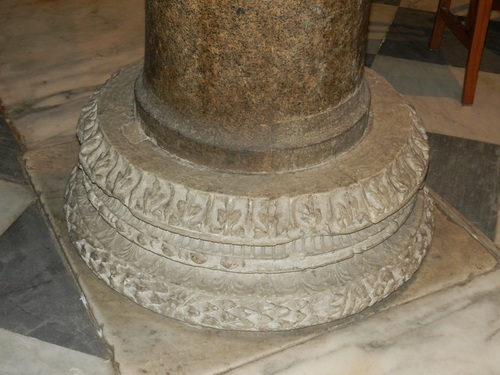 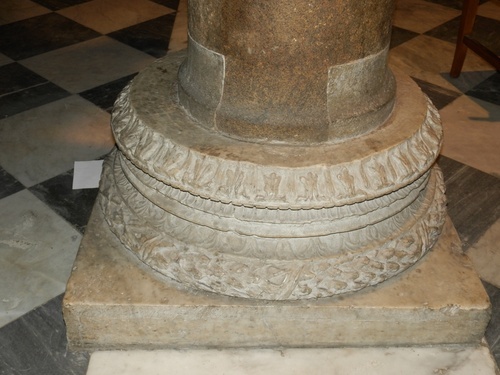 The basilica has a Latin cross planimetry. 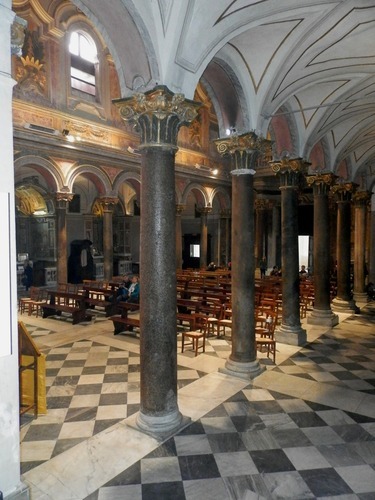 The aisles are separated from the nave by seven columns which, according to legend, were partially made with material of the pre-existing old Temple of Asclepius. 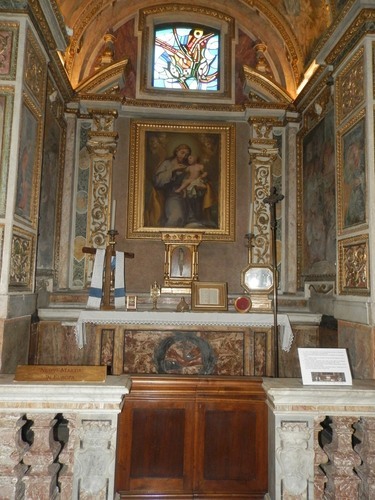 The objects on the altar of this chapel refer to the twentieth-century martyrs from the persecutions of Christians in Europe. 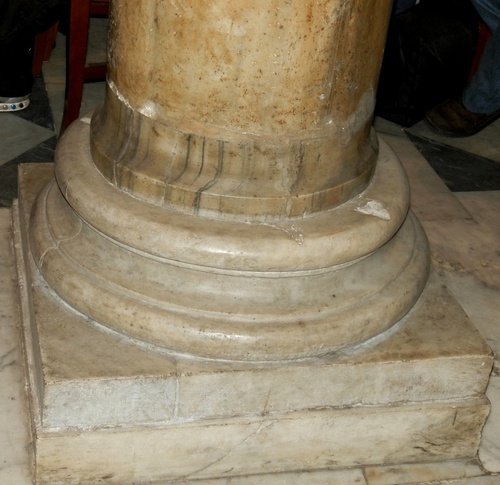 On the second of the six steps which lead up from the center aisle to the chancel stands the marble well. 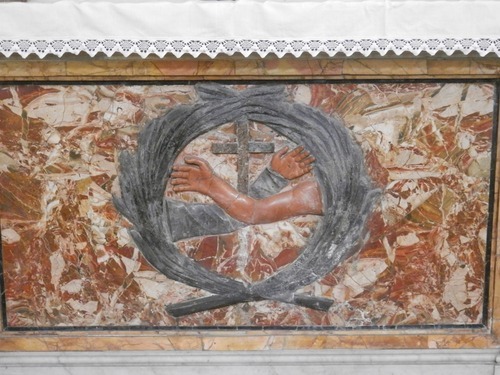 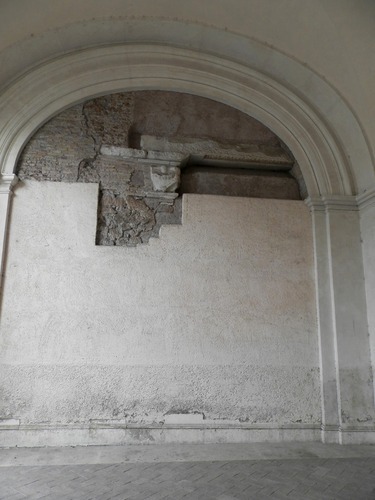 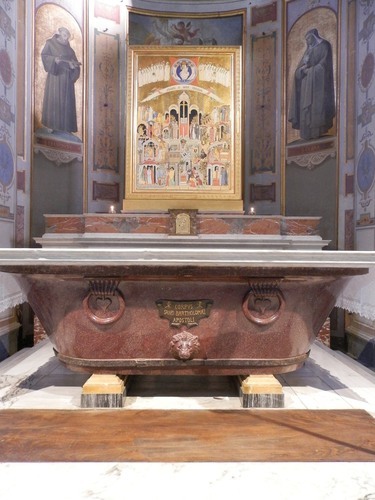 The main altar is a white marble slab that rests on a porphyry container (probably a tub from one of the Roman baths). 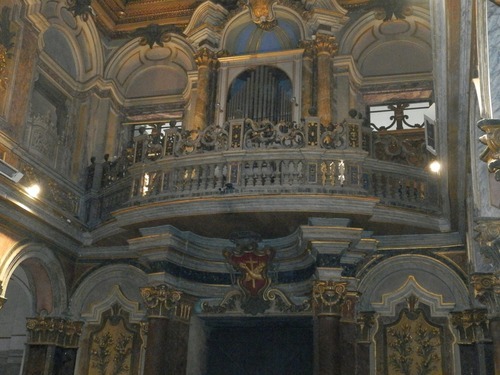 Inside this container are kept the remains of St. Bartholomew. 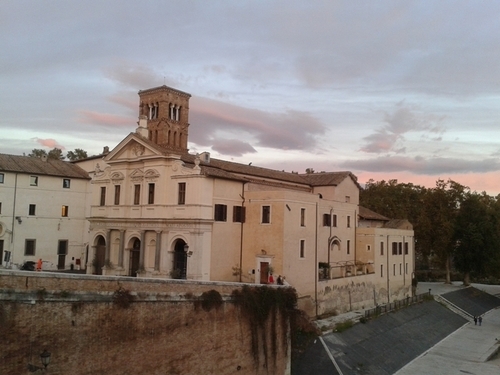 Bruce William, Resurveying the religious topography of the Tiber Island, Dissertation, University of Florida 2004.